I was looking for something that was more nutritious than desserty. Like smoothies, popsicles are an inventive way to offer nutrients that kids might usually be hesitant to eat in a fun and appealing way. This one provides protein and calcium from the yogurt and all of the vitamins and minerals found in fruit and vegetable purees. A bonus is that these contain no added sugar or food dyes. As I said, popsicles are special. I like to dole these out at that awkward hangry period when a full meal is just around the corner but still a bit away. 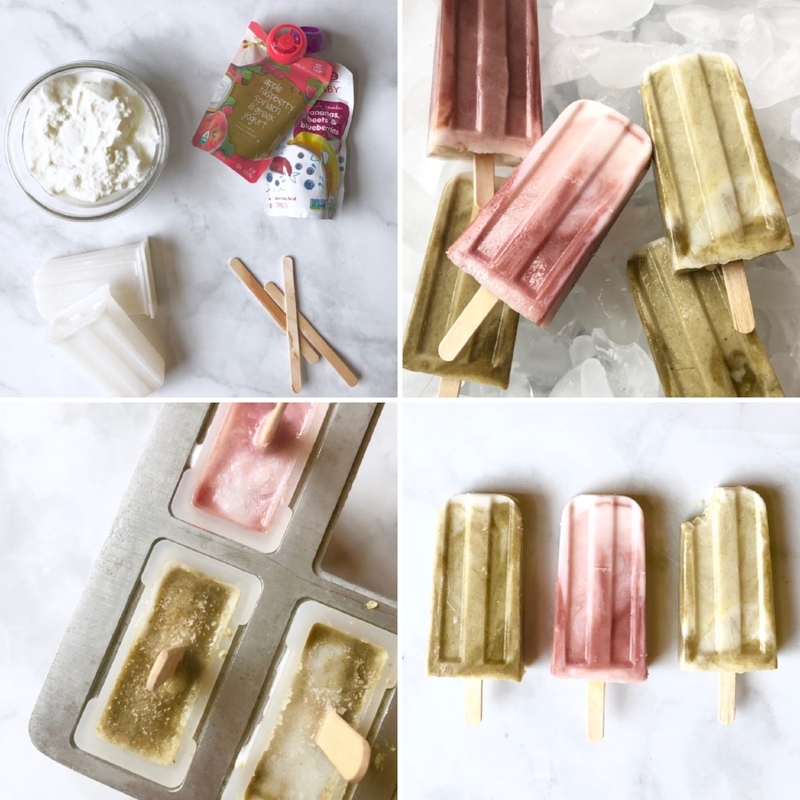 The popsicle becomes your secret weapon: it’s a special treat (full of lots of nutrition!) that is sure to bring a smile without totally botching your little one’s appetite. A lot of kiddos with autism and sensory processing disorder really like the cold and smooth texture. If your little one likes some texture you can add fruit chunks. Popsicles are also great for kids on the spectrum with tactile issues because the stick is the only thing they need to touch. The recipe is 100% customizable for every preference, diet, and nutrition plan. You are in charge of flavor, ingredients, and even the proportion of ingredients. Opt for dairy-free yogurt if your child is on a special diet like gluten-free casein-free. Load your pops with more fruit if you suspect your little isn’t getting enough vitamins and minerals or opt for more yogurt if calcium and protein are the issue. These pops are a vehicle to push your secret agenda. No, it’s not as sneaky as it sounds! This is your chance to offer new flavors and foods in a fun and gentle way. Just think about it - roasted beets might be a deal breaker for your little, but beets are surprisingly sweet and might be welcome in an ice pop. Fill popsicle tray with your desired ratio of yogurt and puree. Mix to combine or swirl with popsicle stick. To thoroughly mix the whole pop, I find it easiest to layer filling the mold halfway and mix just half before adding the rest and continuing to combine those layers. You can also opt to layer them by first filling yogurt, then fruit, and continuing to alternate. Each mold holds about 1/3 cup of liquid each. To finish, place tray on top and insert stick. Freeze for a few hours until solid. 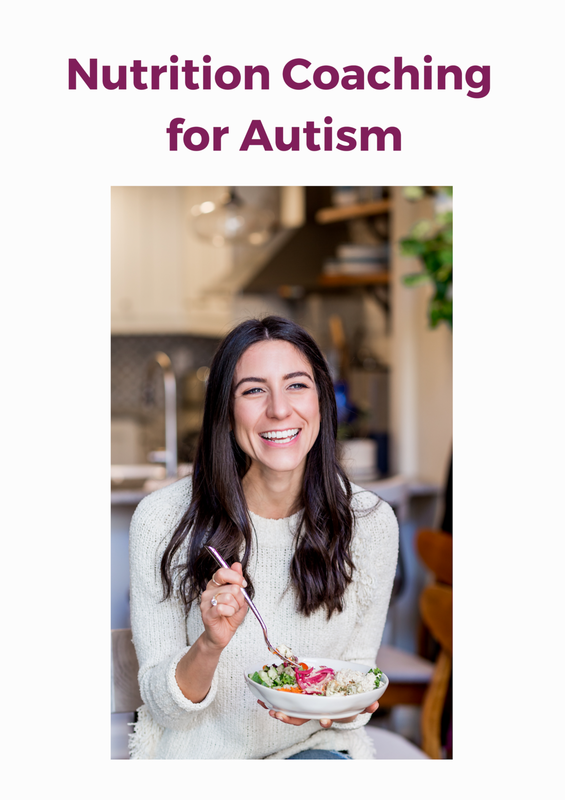 Older PostDid you know this about autism and food dyes?